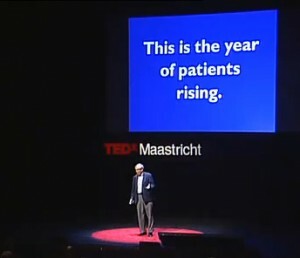 Yesterday’s medical-blog Grand Rounds, on What it Takes, is hosted by the Prepared Patient Forum. There’s a nice array of diverse posts. Among my favorites this week are from patients’ perspectives: by Warm Socks, on complex and simple physical systems for remembering to take pills and by Heart Sisters, on ditching the bucket list. 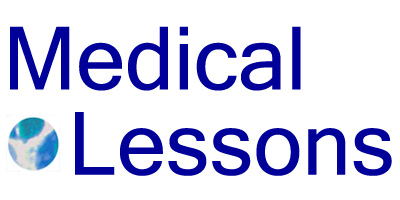 I recommend the Prepared Patient® blog in general; it covers patient-doctor relationships, medical ethics, health care economics and related issues. The forum includes a “dial 411” section with links to on-line, telephone and community resources for patients. The website is sponsored by the Center for Advancing Health, a D.C.-based institute. The center’s stated mission is to conduct research, communicate findings, and advocate for policies that support everyone’s ability to benefit from advances in health science. Yesterday I checked in on the Cancer Culture Chronicles, a thoughtful and sometimes funny blog by Anna Rachnel, who lives with metastatic breast cancer. There I learned that the author of Living With Cancer, a blog I’d read occasionally and has been in the back of my mind lately, is dead. Sadly, I never had the chance to meet or speak with Daria. From a eulogy in the final blog entry: She was born in 1961 in Alberta, Canada. Her breast cancer diagnosis came on in 2000, when she was 39 years old. She received surgery, chemo and radiation and additional meds. According to her first blog entry of August 2008, she’d had a local recurrence in 2004. The disease came back on the other side and elsewhere around then she started her blog. Among other things she accomplished in her life, about which I know too little, she participated in a clinical trial of an experimental drug, Brivanib, and advocated for cancer patients by speaking with members of the Canadian Parliament. She died this past January, a few days before her 50th birthday, survived by her mother, sisters, brother and husband. Based on what’s evident on the blog, it seems likely that the on-line writing probably did help her, personally and individually. But perhaps, even more so, the blog is instructive for others, now. I suspect there’s a lot more I and others might learn from her story and digital afterlife. 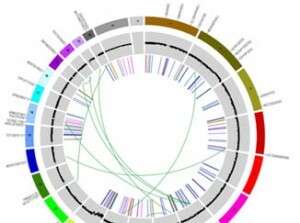 A tweet from a former research colleague reminded me about the Cancer Genome Atlas, which I’d been meaning to check out. This website covers a project jointly funded by two NIH institutes: the NCI and the National Human Genome Research Institute (NHGRI). The project is about documenting cancer genetics for many, many human tumors. We all have genetic sequences we’re born with: our personal genomes. If you were to get your genome sequenced by a company, like 23andMe, they’d get some DNA from any of your cells or body fluid, and sequence your “somatic” or cellular genome. They would identify variants and mutations that you carry in the DNA of all or most of the cells in your body. Cancer cells often contain genetic mutations that are not present in the patient’s healthy cells. So an individual’s breast cancer genome, for example, might differ from her baseline, inherited genome. The purpose of the cancer genome project is to sequence DNA present in tumors samples so that researchers can identify specific, genetically distinct cancer forms and, eventually, develop smarter drugs that take aim at those tumor-specific mutations.